RT's interview with Vitaly Churkin, Russia's Ambassador to the UN, was the diplomat's last TV interview. Churkin, who looked to be "in absolute good health," shared his views on "every single foreign policy issue," and told RT how "stressful" it was to be a diplomat. RT's Aleksey Yaroshevsky, who interviewed Churkin, said he was shocked by the news of the UN ambassador's untimely passing, as when he spoke to him two weeks ago, "he looked to be in an absolutely good health." Churkin "was energetic and animated during the interview," Yaroshevsky said. In fact, he had also asked the ambassador what it was like to be a diplomat these days. The profession "has become much more hectic than it used to be in the past," Churkin replied. "It is stressful," he said, adding: "Unfortunately, the world has not become more stable than it used to be." "I do not regret that I chose a career in diplomacy. It would be a lie to say that it is an easy one, indeed there are some hard moments in the life of a diplomat of a country. We are in one of those moments right now. I would prefer that things had turned out differently and we didn't have to experience some of the events which took place in recent years. 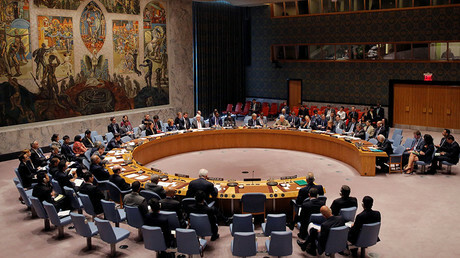 However, we are where we are and we need to act accordingly and continue to live," Churkin told RT. 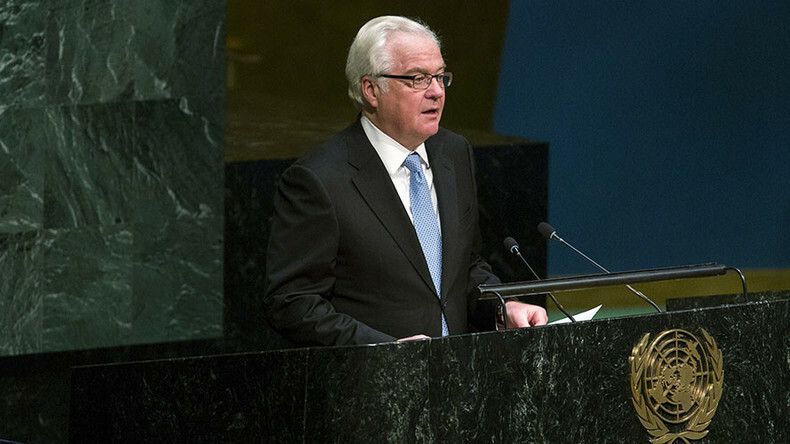 Becoming a diplomat was not Churkin's first choice in his youth. Not many people know that he could have become an actor, RT's reporter said, having mentioned that Churkin starred in several Soviet movies. When asked whether he ever regretted his choice, the UN ambassador told Yaroshevsky: "It is better to be a good diplomat than a bad actor." The RT crew was in New York to meet with Churkin, who served as Russia's Permanent Representative to the United Nations, on February 7 "at his request." Yaroshevsky said that the interview lasted twice as long as it was supposed to last, and included some 20 questions. The RT correspondent said that they "talked a lot, talked basically about every single foreign policy issue." The situation in Ukraine, the Syrian conflict, worsening relations between the US and Iran, as well as new appointments by US President Donald Trump, were just of the few topics the diplomat shared his thoughts on. 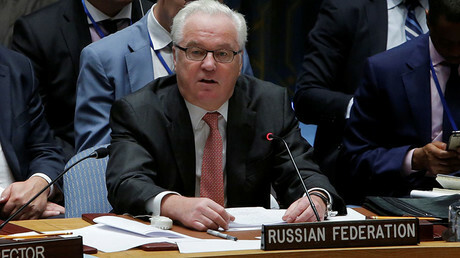 Churkin was known for his strong line of argument, especially with his Western counterparts in regard to the crisis in eastern Ukraine and the conflict in Syria. When asked what he expected of the new American administration and Washington's foreign policy under President Trump, Churkin told RT it was too early to talk about that, as "their team needs to take shape." "This is going to be something new and different. Of course, I hope we are going to advance far enough to make a difference in improving our relations, but how exactly it's going to happen" is yet to be seen, Churkin told Yaroshevsky. "The challenge of terrorism is definitely one of the circumstances which is driving the need for us to cooperate," Churkin said. The diplomat also talked extensively about the situation in Yemen, warning that "in terms of its fabric it may be even more complicated than the conflict in Syria." "In fact, I think this is one of the areas where we need to cooperate more closely with the US and internationally in the Security Council," he said, adding that "the settlement of the very complicated... extremely bitter and bloody conflict" needed more attention from the international community. "The world has been upended, corks have been taken out of the bottles,” Churkin told RT. “In Libya, we had that cork taken out of the bottle – all the problems in Africa which have been exacerbated by the crisis in Libya by the toppling of Gaddafi and ruining the Libyan state essentially, all those problems started flowing out of Africa, Northern Africa. “And then another bottle was uncorked in Syria, when one of the most successful countries in that part of the world was destabilized, so another flow of problems into Europe started coming from there," Churkin said. "One of the simple conclusions I personally have drawn watching the conflict in Syria develop, and the conflict in Yemen, [is that] the international community must [act] on these things as quickly as possible. If we allow such conflicts to drag on, then there will be blood, emotions and casualties, and it will become more and more difficult to settle them," Churkin warned. The UN ambassador also emphasized how important the work of the UN is. "The UN continues to be an indispensable mechanism. Without the UN, we would be acting all on our own, without much coordination and then we would be even less successful than we have been so far. At least there is a platform for us to bring our views together," he said. "We have the whole agenda on our hands, so it's going to be another busy year, I'm afraid, for the Russian delegation in the United Nations... We are used to being busy here. We like being busy."